December 8, 2014. 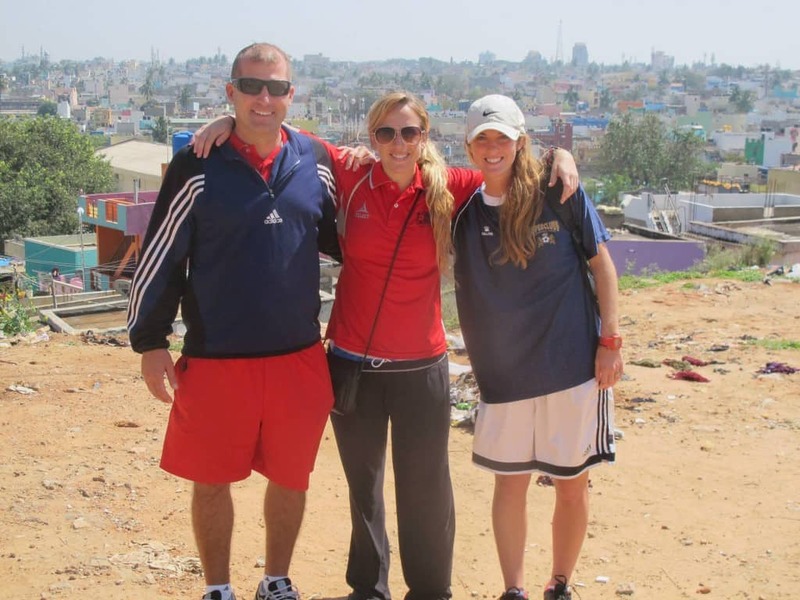 Volunteer, Ali Pleiman, writes about her 4th program with CAC in Bengaluru – our second week working with Magic Bus On-Field in India. Voila! Let it stew and hope for the best. Our participants traveled far and wide across India to meet in Bangalore for a CAC training. Coming from 5 different cities, our 4-day session would bring together 3 organizations: Magic Bus, Dream A Dream, and Sparky Football. I’ll admit I was skeptical upon realizing that our melting pot would include multiple languages, cultures, and coaching styles. How would we be effective? Is it possible to find a balance with all the different spices? When making dinner, my main goal is obviously “don’t burn the food.” Similarly, everyone in the training could be aligned by a shared desire, “coaching for social impact!” I recognized this unifying element in the first morning, as this group of individuals was extremely bright and enthusiastic; their passion was a key ingredient that would see us through the week, making it possible for intrinsic differences to contribute strength rather than weakness. I was excited for this experience with so many great flavors coming into the mix, which would surely widen perspectives and benefit all parties involved. Of course, there were many challenges! We were fortunate to have some fantastic translators helping us to taste-test our progress along the way, so that we could adapt our strategies and discussions to better meet specific needs. Several coaches in the program were already familiar with the idea of using a game to highlight an underlying social message. As this is also the nature of CAC, I was amazed to see and understand that HOW you coach can make all the difference in the impact. When we introduced the CAC focus on “self-directed learning,” I was surprised that the majority of the participants interpreted this as a pretty foreign concept. I grew to realize that this week’s group was more accustomed to coaching towards one particular outcome, whereas the CAC view is geared more around the process. For instance, although participants brought many skills to the table, I found their coaching style to be very “by the book.” They were programmed to deliver a social message at the end of a game, in the same way that the rules were delivered at the start. CAC differs in their teachable moments by calling attention to the messages throughout the game; CAC will connect the dots as they evolve through play, instead of after the fact. Plus, learning is more fun when you don’t realize it’s even happening! Children will be more receptive to quick spurts during a fun game than to a long lecture at the end of playing. Moreover, CAC doesn’t force feed all the answers. In fact, CAC problem solving games are designed specifically to provoke conflict. This methodology was the most difficult to communicate to our group this week. We were met with opposition when we stepped back to say, “solve your problem.” We were encouraging but they were still frustrated when they couldn’t always be told a right or wrong scenario to enforce, wanting more clear-cut rules to clarify. That’s the point! In life, there is not always 1 correct answer. The beauty is in understanding that there can be many solutions to a problem. 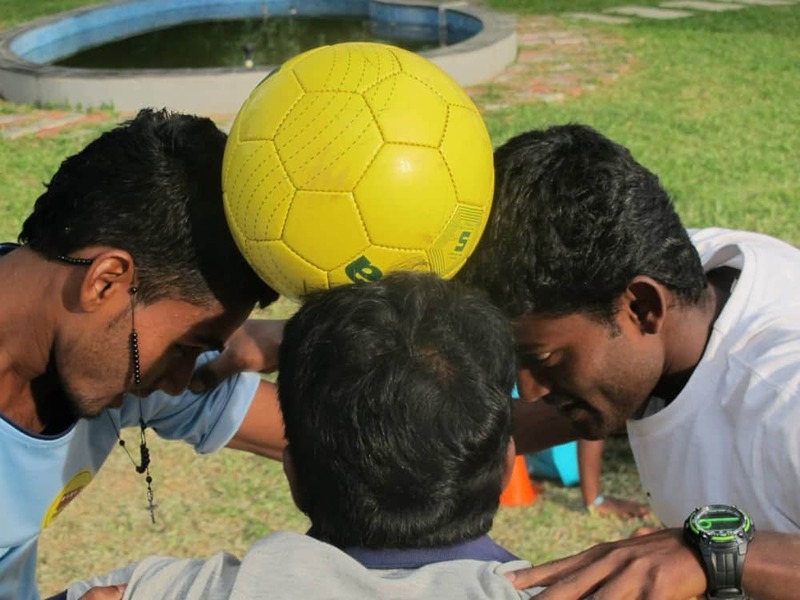 Coaches Across Continents strives to create coaches who are active facilitators rather than dictators– asking questions to help children along the way, but giving them the opportunity to think for themselves. CAC aims for coaches to engage the children throughout play and discussion, encouraging their interaction every step of the way. This group was also hesitant to accept this mentality, wondering what should happen if chaos ensues. Sometimes, let it be! Why not? Let the field be a safe space to practice handling conflict, without violence or retreat. A little chaos is okay. It may take a little longer for them to solve their problem but they can do it with guidance. If we just instruct them at every turn, then they will always be looking or waiting for instruction when they need to make their choice and act. Rather than breeding this dependency, CAC games have such a heavy focus on physical and mental skills that help on-field AND off-field. We seek to breed self-awareness, self-control, and confidence. In life, they may not always have the exact recipe laid out for them, or the help they thought they needed. Our job as coaches is to make sure they feel they have enough to work with. You can prepare as best as possible, but you always reach a point when it’s time to trust your skills and make your choice. Then you own the consequences, good and bad, and learn from them as you keep moving forward. That’s all anyone can do. We were lucky to have such an incredible group of participants this week, willing to face obstacles head on with smiles and open minds. We did some serious work but we had a blast while doing so. I will miss my new friends who shared their spirit, AND their dance moves. As always, I was pleasantly surprised to see how a crazy concoction could find a way to come together in the end and taste so good! This week quickly became my new favorite dish. So that’s why I like to cook this way, and I’m pretty sure the best chefs don’t always use precise measurements, so maybe my method is genius… Either way, the week solidified my belief that CAC is uniquely valuable in the work they’re doing around the world.